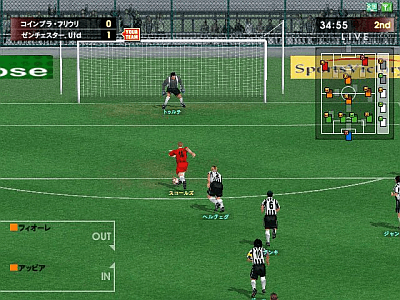 World Club Champion Football European Clubs 2004-2005 © 2005 Sega Enterprises, Limited. This game was released in Japan on June, 29, 2005. It was based on the top divisions of four countries in Europe: the English Premier League, Dutch Eredivisie, Spanish La Liga, and Italian Serie A.